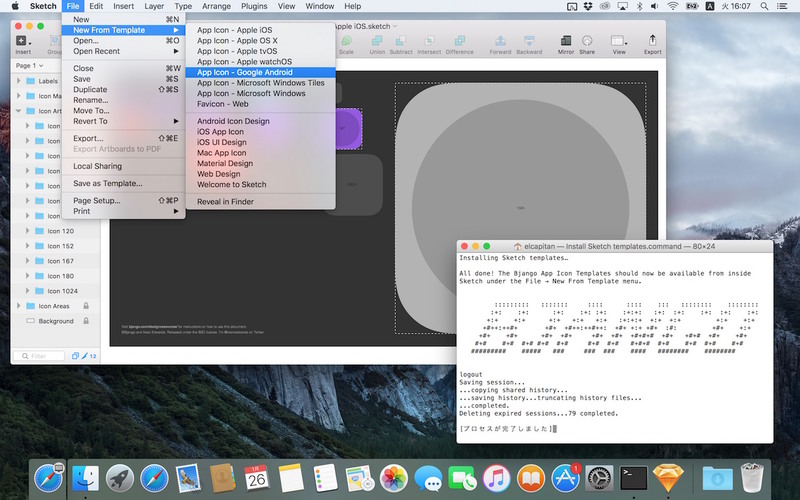 Bjango、iOSからOS X, tvOS, Windows Phoneに至るまで、ほぼ全てのアイコンを網羅したテンプレート「App Icon Templates」をBSDライセンスで公開。 | AAPL Ch. A comprehensive set of app icon templates for Photoshop, Illustrator, Sketch, and Affinity Designer. The templates cover Android, iOS, OS X, Apple TV (tvOS), Apple Watch (watchOS), Windows, Windows Phone and web favicons. Where possible, they’re set up to automate exporting final production assets. All free and open source, released under the BSD license.